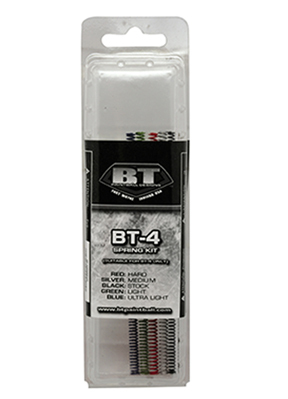 The BT Spring Kit is available for use in BT-4 and Model 98 markers and allows you to increase adjustment over the stock velocity. This paintball spring kit includes five different main/velocity springs, two stiffer than the stock model, one in stock strength and two softer springs. 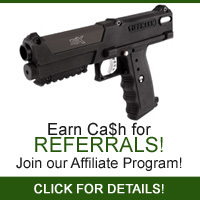 Installation is easy and performance is guaranteed with the Spring Kit from BT Paintball.